The airlines have entered into a preliminary memorandum of understanding regarding their intention to deepen their existing partnership to form an commercial joint venture arrangement, which will offer customers access to an extensive transborder route network, world-class airline products, enhanced frequent flyer benefits, shared airport facilities and amenities, and a more seamless travel experience. Coordinated flight schedules for new nonstop flights to new destinations, expanded codesharing and seamless and convenient connections on the airlines' extensive networks in the U.S. and Canada. Delta has a 25-year track record of partnering closely with airlines around the globe, beginning with the first successful transatlantic partnership, when Northwest and KLM launched their joint venture in 1993. With this agreement, Delta will have eight partnerships with leading carriers in the world's biggest aviation segments spanning Europe, Latin America, Asia, Australia and Canada. Through deep relationships and immunized joint ventures, Delta has successfully achieved many benefits of cross-border co-operation for its customers. WestJet, Canada's second-largest airline currently has 45 airline partners providing access to more than 175 destinations in over 20 countries. 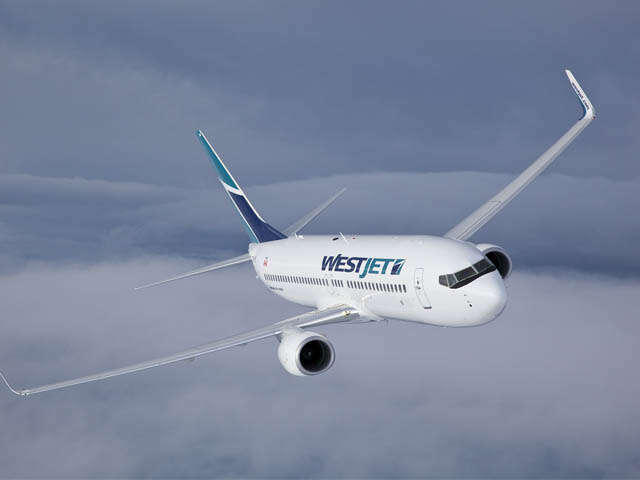 WestJet has also entered into a definitive purchase agreement for 10 Boeing 787-9 Dreamliners with the first aircraft expected to be delivered in January 2019. With one of the youngest fleets in the airline industry, WestJet continues its global growth while controlling operating costs and providing an award-winning guest experience.